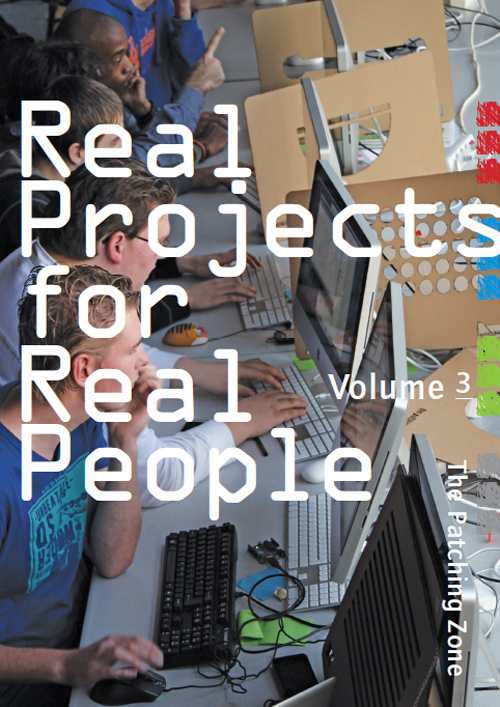 The book 'Real Projects for Real People, Volume 3' is a reflection on the work of The Patching Zone, a transdisciplinary media laboratory based in Rotterdam (NL) where students, young professionals and experts from different backgrounds build a shared practice. 'Real Projects for Real People' takes you on the exciting journey through Mediawharf, where social innovation and creativity are used as superchargers for innovation at the Zadkine technical vocational school in Rotterdam. Mediawharf is the media workplace where praxis and theory meet. Read how The Patching Zone team investigates, together with students, teachers and experts, new educational models for a more attractive education programme. In Real Projects for Real People, Volume 3 you can read about the first year’s assignment that was co-developed with Kosmopolis Rotterdam by The Patching Zone’s team in close collaboration with the Zadkine students, local youth and advised by the international media art experts from Blast Theory (UK) and Translocal (FI) from the DIgital VOices (DIVO) collaboration. 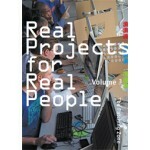 Real Projects for Real People, Volume 3, outlines a multi layered innovation project with a creative backbone. With contributions by Peter Criellaard (NL) Kristina Andersen (DK/NL), Kati Bessenyei (HU), Ralph Boeije (NL), Victor Diaz (ES), Ju Row Farr (UK), David Jones (PT/NL), Harry Kotey (NL), Laura Maes (BE), Chris van der Meulen (NL), Waldek Rapior (PL), Ida Marie Toft (DK), Elke den Ouden (NL), Rianne Valkenburg (NL).